Protests that erupted after Donald Trump’s election victory, many of them organized and stocked with paid agitators, were “incited by the media,” the president-elect said on Twitter. Anti-Trump protesters riot in Portland, Oregon. 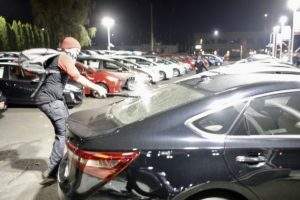 Anti-Trump demonstrations turned violent in Portland, Oregon on Nov. 10 as protesters damaged cars at a dealership and rampaged through the Pearl District shattering business windows into Friday morning. Police tweeted that 26 people were arrested in the demonstration. Rioting is a class C felony in Oregon. “We will all come together and be proud!” he wrote.